A few months ago, the FDA released a guidance on medical device reporting (MDR), an important document with which manufacturers should familiarize themselves. It outlines expectations of reporting, and it is a vital part of post market surveillance. 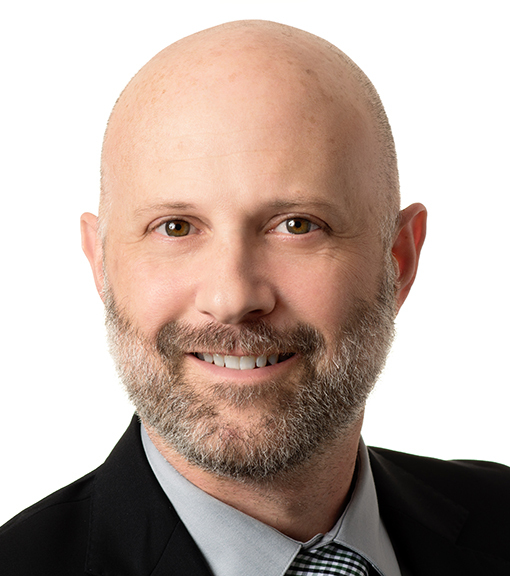 I recently had a chat with Mike Drues, president of Vascular Sciences, about MDR and what it means to medical device companies. What isn’t MDR, and why is it important? The following are a few of our thoughts on the state of MDR. The FDA’s new guidance came out in November 2016 and is pertinent to medical device companies across the board. Despite our best intentions, occasionally things do go wrong, and an important part of the process is identifying problems and preventing them from happening again. The intention of the guidance is to ensure that appropriate reporting is done when any of those problems do occur and to provide direction for post market surveillance. According to the guidance, anything that can potentially cause serious injury or death to a patient needs to be reported. This is the obvious answer, but further to that, you need to have an understanding of the relationship between your device and any given incident. Was the incident really due to your device? For example, in a pacemaker test in Boston, a patient was hit by a car. The study coordinator concluded this couldn’t be due to the pacemaker. In a Los Angeles study of the same device, a patient fell down some stairs, breaking his/her arm—it was also concluded this had nothing to do with the pacemaker and it wasn’t reported. In Minneapolis, a patient slipped on ice and it was once again concluded that the accident has nothing to do with the pacemaker, and therefore it wasn’t reported. Once that pacemaker went to market, a number of patients started reporting similar incidents. It was eventually concluded that there was in fact a problem with the pacemaker, particularly after a patient passed out. While those incidents during testing didn’t appear related to the pacemaker, hindsight shows that the problem could have been found much sooner if they had been investigated. Getting back to that “serious injury or death” reporting requirement, this story highlights that this is not always a simple call to make. Mike Drues tends to lean toward over-reporting—if in doubt, report it anyway. If you under-report, this is where you can get into trouble. I’ve seen plenty of companies who have experienced borderline events where they’re not sure about reporting. They often worry about raising a red flag or getting on the radar of the FDA, but this can be an advantage, too. This is proof that your quality system is working. Report these to the FDA and be happy that your systems are proving themselves to work! An MDR is often a complaint, although doesn’t have to be. You need to have a complaint-handling process to deal with all that come in; however, keep in mind that not every complaint will fit into the category of an MDR. An MDR could be a subset of complaints that are design or user-related. For example, a design flaw or a material defect. One area where Mike disagrees with the FDA is that it tends to separate out user error from the mix. At what point is user error really related to a design fault? How Timely Should Your Report Be? It’s really a common sense issue—when a problem is severe and/or could affect a large number of people, reporting needs to happen as soon as possible. If it’s not so severe, then reporting doesn’t have to occur so soon. Many of you are probably already aware of form 3500A, which is mandatory reporting for manufacturers. Form 3500B is voluntary reporting by consumers, where they can report directly to the FDA. It is important to be aware of this, particularly with the numbers of home-use devices. Mike suggests including a statement in the packaging that advises people who to contact if they have a problem with a device (whether that’s your company or directing them to the 3500B). As an industry, we often haven’t been great at carrying out reporting. Generally, companies are committed to providing safe, effective products, but in practice, reporting often slides down the priority list. Additionally, a lot of the information in the updated guidelines is focused on the mechanics of reporting. The spirit of the guidance is to ensure that safety and efficacy are maintained through timely reporting of incidents. While there are plenty of gray areas where you might not be sure if reporting is required, our suggestion is that you should err on the side of making a report, rather than holding back. At the very least, it’s an opportunity to learn something and improve. What Counts as a Manufacturer? What about 3-D printing in a doctor’s office? Are they considered to be manufacturing? Questions like this really highlight how it has become tricky to define the manufacturer. I have an example of a dental company we worked with that has a very innovative product. Some components they are getting from contract manufacturers while other components will be printed in the dental office. The question came up, is the dentist now a manufacturer? This is a very gray area. 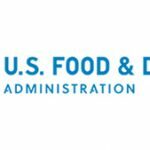 These are specifically included in the guidance, although the FDA doesn’t have specific authority to govern reprocessing in hospitals as it falls under the practice of medicine. As an example, there was the deadly superbug that was transmitted via reusable scopes in hospitals. 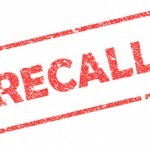 This did end up reported to the FDA and the company recalled the product. Mike feels reporting might become a moot point. He’s working with a company that is designing a way to automatically report issues to the FDA, sort of like a “black box” for medical devices. While this won’t be applicable across the board, any electronic devices can certainly tap into this technology. They automatically make failure mode recreation much easier by providing explicit details. MDR can be your friend—don’t be afraid of it. Embrace it whenever an issue does occur, but also be aware of the MDR and have a procedure in place. There’s a good chance that you will have an incident at some point, as this tends to be the nature of the business. We suggest you identify opportunities to be proactive about issue identification and reporting. As Mike says, over-report rather than under-report, and remember, talk is cheap. You have to act on the information you get and work to create a better, safer medical device.